Show runs approximately one hour with no intermission. The book is on sale in the lobby. Here at ChiIL Mama we adore Lifeline Theatre’s KidSeries. When my teens were small we bought season passes every year and my kids grew up loving Lifeline's fabulous book based adaptations. We're thrilled to partner up once again with Lifeline, to offer a ticket giveaway for our readers. Enter early and often through midnight March 14th. Winners choice of show date/time pending availability. These world premiere musicals are some of the best family friendly theatre in town. Highly recommended. 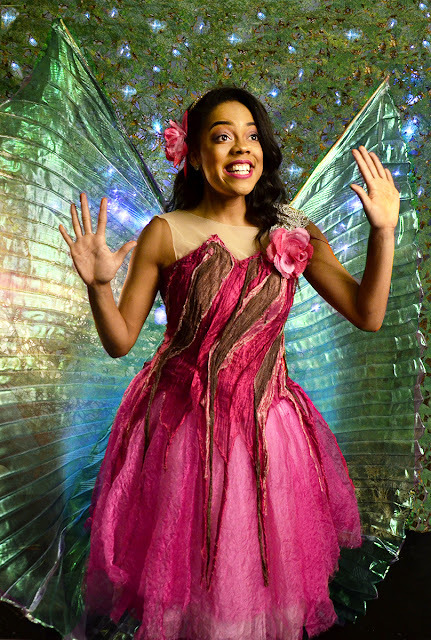 Darian Tene as Dew Drop; in Lifeline Theatre’s world premiere production of “You Think It’s Easy Being The Tooth Fairy?” adapted by Heather Currie and Derek Czaplewski; music & lyrics by Laura McKenzie; and directed by Heather Currie; based on the book by Sheri Bell-Rehwoldt, illustrated by David Slonim. Photo by Suzanne Plunkett. Lifeline Theatre’s KidSeries presents You Think It’s Easy Being The Tooth Fairy?, a world premiere family musical with book by Lifeline Theatre ensemble member Heather Currie and Derek Czaplewski, music and lyrics by Laura McKenzie, and directed by Heather Currie; based on the book by Sheri Bell-Rehwoldt; illustrated by David Slonim. Dew Drop just landed her dream assignment: training to become the next Tooth Fairy! But after coming on board, she learns that there’s more to the job than simply being sparkly: it’s going to take guts, skill, and a whole lot of training to succeed. Working closely with her mentor – and a flashy flock of firefly assistants – Dew Drop must learn the rules of Command Central, master “Tooth-o-Finder” technology, and bench press mountains of quarters before she can fly on her own. Tackle a new challenge and learn what it takes to succeed in the fast-paced tooth collection industry with this world premiere musical based on the 2007 book. You Think It’s Easy Being The Tooth Fairy? runs Saturday, March 17 – Sunday, April 22 at Lifeline Theatre, 6912 N. Glenwood Ave. Regular performance times are Saturdays and Sundays at 11 a.m. and 1 p.m. (Previews are Saturday, March 17 at 11 a.m. and 1 p.m.; and Sunday, March 18 at 11 a.m.) Tickets are $15 and may be purchased at the Lifeline Theatre Box Office, 773.761.4477, or by visiting www.lifelinetheatre.com. Accessible Performances: The Saturday, March 24, 11 a.m. and 1 p.m. performances will feature open captioning for patrons who are deaf or hard-of-hearing. The Sunday, March 25, 11 a.m. performance will feature a pre-show touch tour of the set at 10 a.m. and live audio description for patrons who are blind or have low vision. And there will be an added autism/sensory-friendly performance on Sunday, April 15 at 3 p.m. for patrons with social and/or cognitive disabilities. For more information about Lifeline’s accessibility services, please contact Accessibility Coordinator Erica Foster at 773.761.4477 x703 or at access@lifelinetheatre.com. 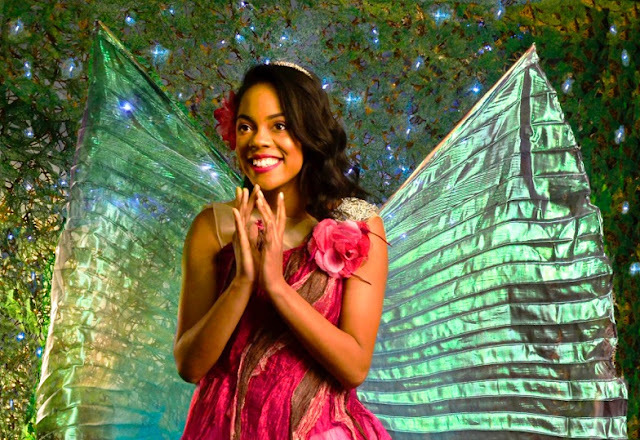 PLUS: Join Lifeline Theatre every Saturday and Sunday at 12 p.m. during the run of You Think It’s Easy Being The Tooth Fairy? (following the 11 a.m. show, or before the 1 p.m. show) for our Stories Come Alive! Hour. Children will enjoy an interactive storytelling session and on-your-feet theatre games. The cost is only $5 per child. Reservations are recommended, though not required. Contact Lifeline Theatre at 773-761-4477 for more information. Guest artists Christopher Causer (Flash), Diana Coates (The Tooth Fairy), Benjamin Ponce (Twinkle), Darian Tene (Dew Drop), and Brian Tochterman Jr. (Fresnel). With understudies Trevor Bates, Gabriel Fries, and Stephanie Stockstill. (Technical Director), and Brenda Winstead (Costume Designer). Lifeline Theatre’s programs are partially supported by Alphawood Foundation; A.R.T League Inc.; Elizabeth F. Cheney Foundation; Chicago CityArts, a grant from the Chicago Department of Cultural Affairs and Special Events; The Common Cup; Gaylord and Dorothy Donnelley Foundation; FGMK LLC; Lloyd A. Fry Foundation; The Michael and Mona Heath Fund at The Chicago Community Foundation; The Grover Hermann Foundation; Illinois Arts Council Agency; Illinois Humanities Council; Lagunitas Brewing Co. Community Grant Program; MacArthur Fund for Arts and Culture at Prince; The PAV Grant Fund; The Polk Bros. Foundation; Poubelle Fund, a Donor Advised Fund of Renaissance Charitable Foundation; Rogers Park Social; The Saints; S&C Electric Company Fund; The Shubert Foundation; and the annual support of businesses and individuals.